I was just wrapping up the day in my clinic when my tech came to me and said “Sir the vet wants you to come over. A military working dog just died.” For a second I was confused. I thought he may ask me to do some sort of post-mortem dental identification or something. 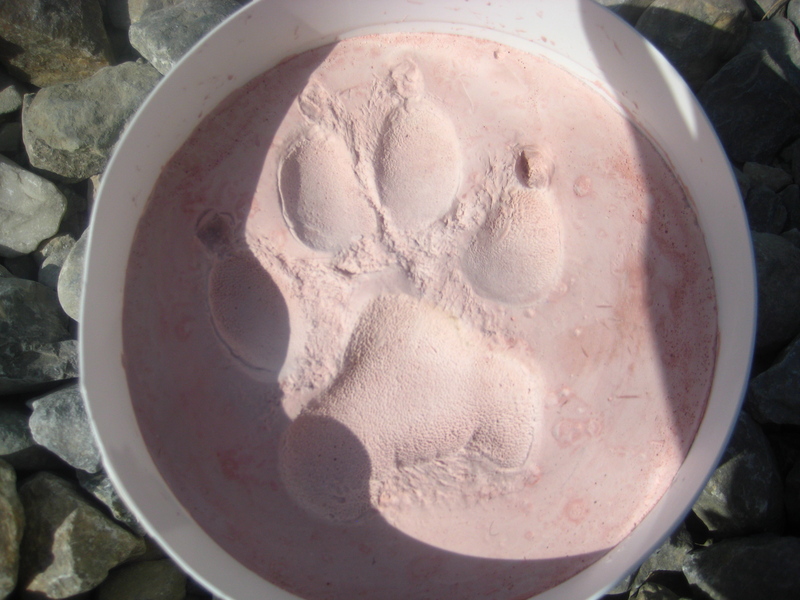 “They want you to take a paw print to give to the handler” he added. We grabbed a couple of bags of stone powder, a mixing bowl, and a spatula and headed over to the veterinary clinic. The veterinarian and I exchanged introductions and he told me what happened. Apparently a military working dog had been brought in by his handler in pretty bad shape. The temperatures here are up in the 110 range and this dog had succumbed to extreme heat injuries. My techs and I, along with the help of the veterinarian tech and the orthopedic surgeon (who just so happened to be there) mixed up some dental stone and made an impression of the animal’s left front paw. They wanted to give the handler a memento to remember his partner by. The young Sergeant was apparently very shook up. To him this dog was his partner, his battle buddy. His battle buddy had just died. What impressed me the most was when the mortuary affairs team showed up. They said they were here for the “hero.” I was confused. “Hero” is the code word we use when talking about a fallen service member. What were these guys talking about? They were talking about this military working dog. Canine or not, this dog was a US service member. When a dog goes down, we treat it the same as if he was a fallen soldier. These animals are given the same level of respect as anyone else who serves their country in this war. After we finished with the remains, the mortuary affairs team took the working dog down to the mortuary affairs facility for processing – the same as if it was a soldier. Whether or not one agrees with elevating dogs to the same level as humans in life or death, you have to appreciate the respect our military pays to all those who serve. My condolences go out to the handler and the rest of their team. This dog was apparently a huge part of who they are and will be sorely missed.